There is something captivating about books. Even modern ones. When you touch a book, you touch many different lives, the characters that inhabit the book as well as the author who created the book. However, ancient books are even more magical. I recently had an experience any book lover would be thrilled to experience. 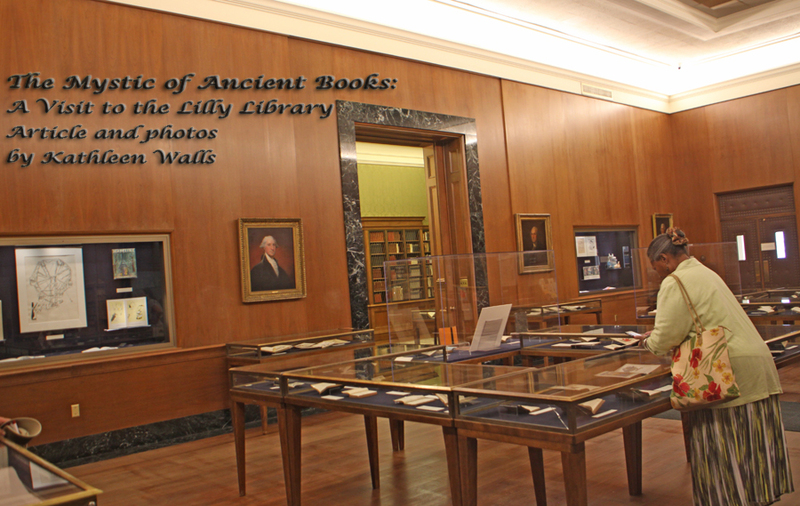 I visited the Lilly Library on the campus of Indiana University in Bloomington, Indiana. 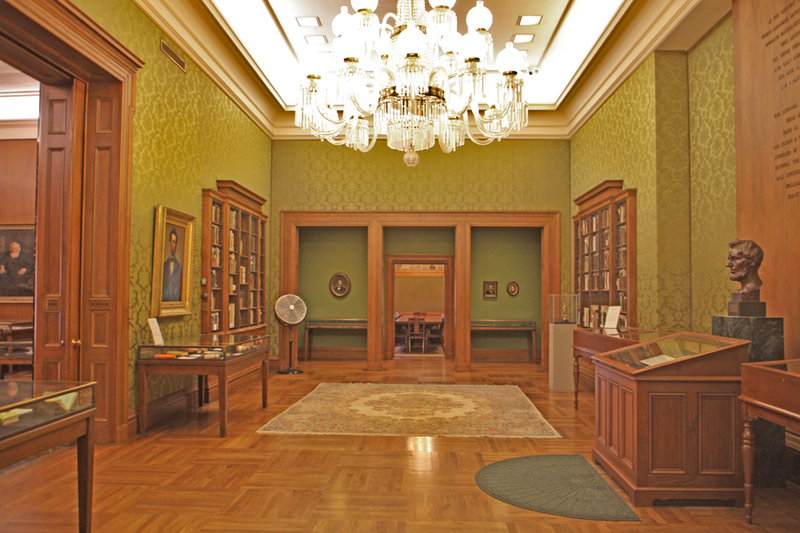 Lilly Library contains over 400,000 books, more than 100,000 pieces of sheet music, around eight million manuscripts. If that doesn't make any book lover drool I don't know what would. 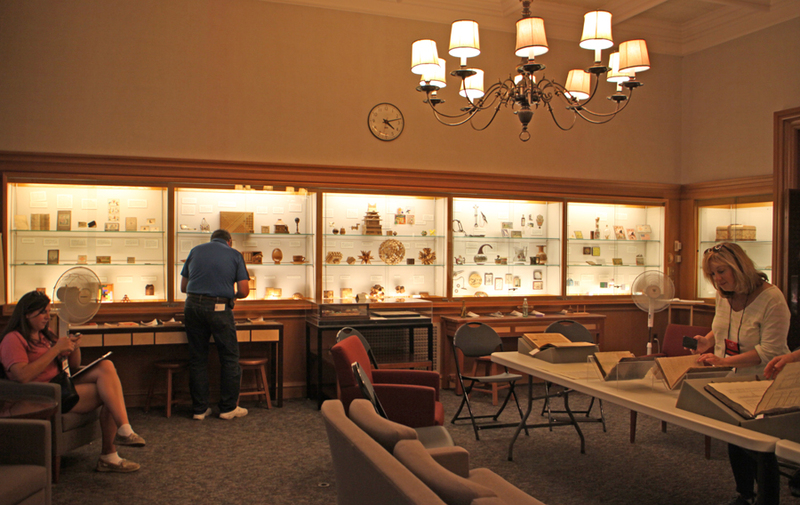 In addition there are around 30,000 three dimensional puzzles from the Jerry Slocum Collection. The puzzles are the newest addition to the library. Mr. Slocum began collecting when he was eight and he is now in his 80s. He wanted the puzzles to be used and out there for people to see. My visit to the Lilly Library was the most amazing experience. Not only could I look at rare treasures dating back to the middle ages, I could actually touch them. They showed us the first printing of the Declaration of Independence and the first printing of the Bill of Rights. 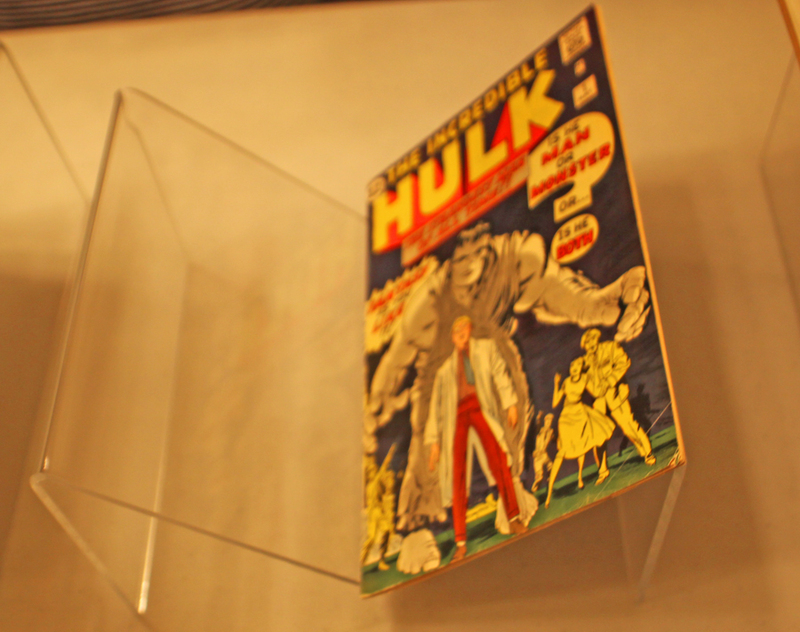 There was Shakespeare's First Folio printed in 1673 sitting right out on the same table with a 1950s comic book. 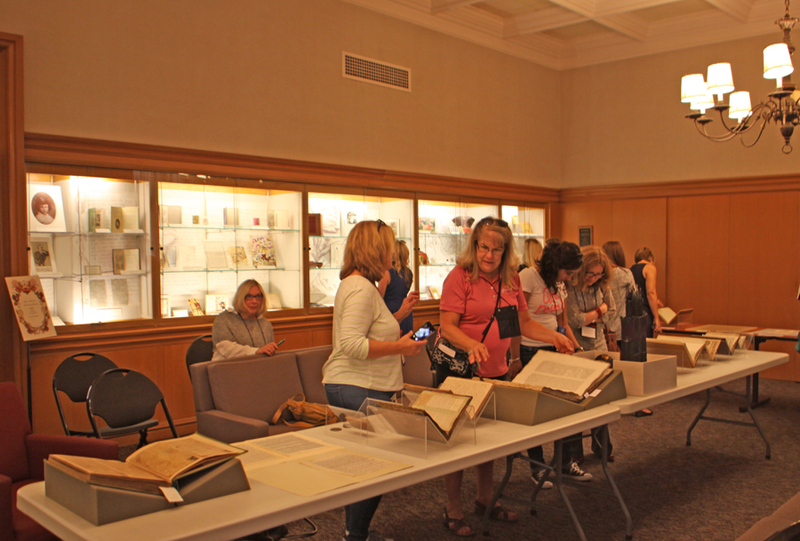 Rebecca Baumann, Education and Outreach Librarian, spoke to us about the library's beginning and collections. 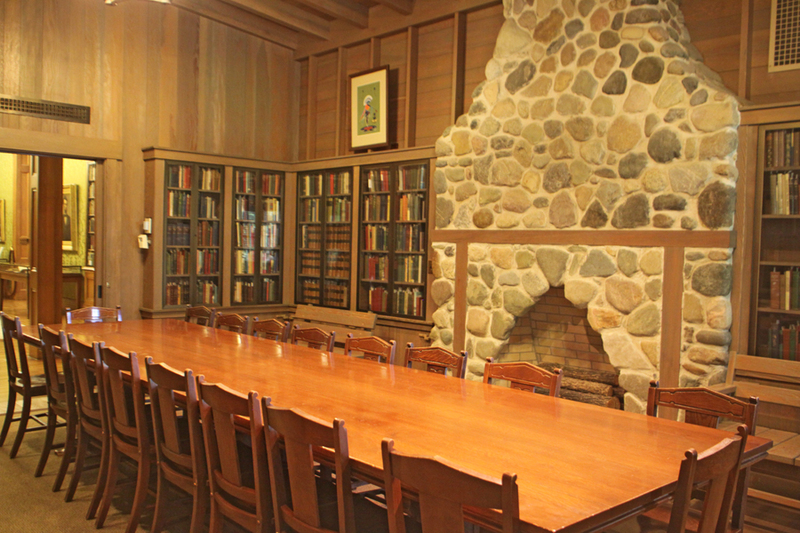 The library was opened in 1960 because of the donations of Josiah K. Lilly, Jr., owner of Lilly Pharmaceuticals in Indianapolis. Mr. Lilly had been a collector all his life and had an eclectic collection which was the original collection of the library. Rebecca explained how they are so different than other libraries of this kind. "We are much more open and accessible to the public. You do have to register. 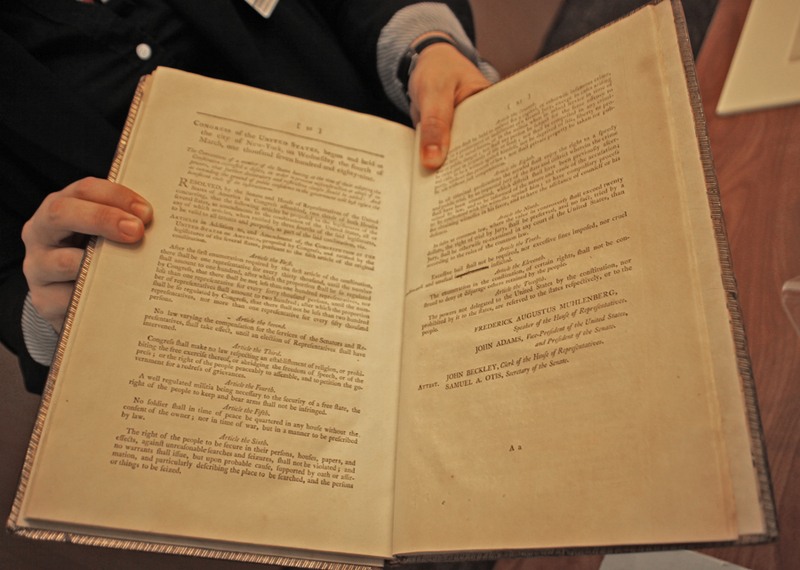 Anybody can walk in and ask to see anything we have in the collection and then they can see it in the reading room." Roaming around that table was an experience I will never forget. The tiny miniature children's book library was designed for tiny hands. The 1517 German medical book about wound surgery on the battlefield will convince anyone they did not want to go to a doctor in that era. It had the first ever illustration of an amputation. Ian Fleming's original manuscript of Goldfinger is there for James Bond fans. John Ford, the Hollywood director, donated his collection to the library. You can pick up his Oscar for best director. It's the only thing you do need to put on a glove to handle. Rebecca explained the finish would wear off otherwise. Surprisingly, Rebecca told us that the old books were much more durable. She pointed to the comic book and stated. "Those are the most fragile pieces we have in the library. The reason being that the oldest books and medieval manuscripts are not printed on paper. They are on velum which is an animal skin not paper. They were very expensive to make. Probably a whole flock of sheep went into the Book of Hours." She pointed to a beautifully illustrated book of illustrations. "These were meant for only one person and were very expensive. Whereas the comics were printed for thousands and very cheap." There are a lot of Edgar Allan Poe first editions along with a collection of letters he sent to his fiancee, Sarah Helen Whitman. There was a lock of hair he had sent to her. She made him promise to quit drinking. When she found out he was still drinking, she broke it off. Poe sent a final letter to her. She only kept a fragment which read, "I blame no one but your mother." There were numerous travel journals since we were all travel journalists. 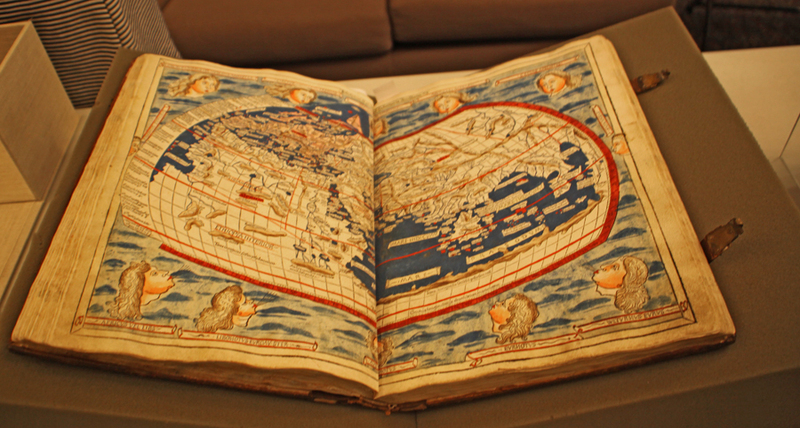 One was a manuscript by a traveler, George Gibberon. 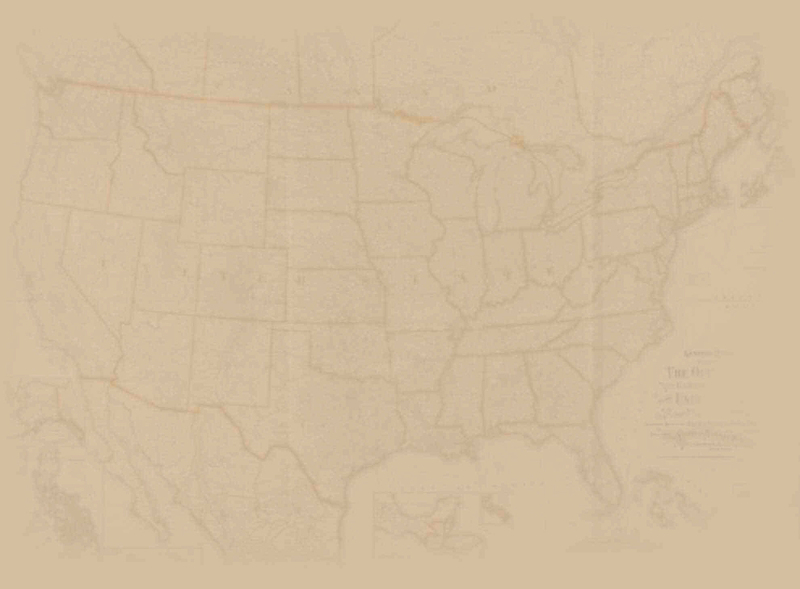 He describes his trip from England to Italy in 1824. He was worried about running out of space so as you go through the pages, the text becomes smaller and smaller. Towards the end I could not even read it unless I had a magnifying glass Naturally, Indiana journalists Ernie Pyle's books and draft versions were there. Interestingly there were letters Pyle wrote to his wife and the same event described to Paige Cavanaugh, his best friend. So different! Wandering throughout the library I was surrounded by old friends. Books I remember reading as a youngster and many I would love to read. They have the largest collection of Abraham Lincoln books I have ever seen, some of his letters and works and others written about him. My biggest thrill was Thomas Jefferson's own copy of the Declaration of Independence. 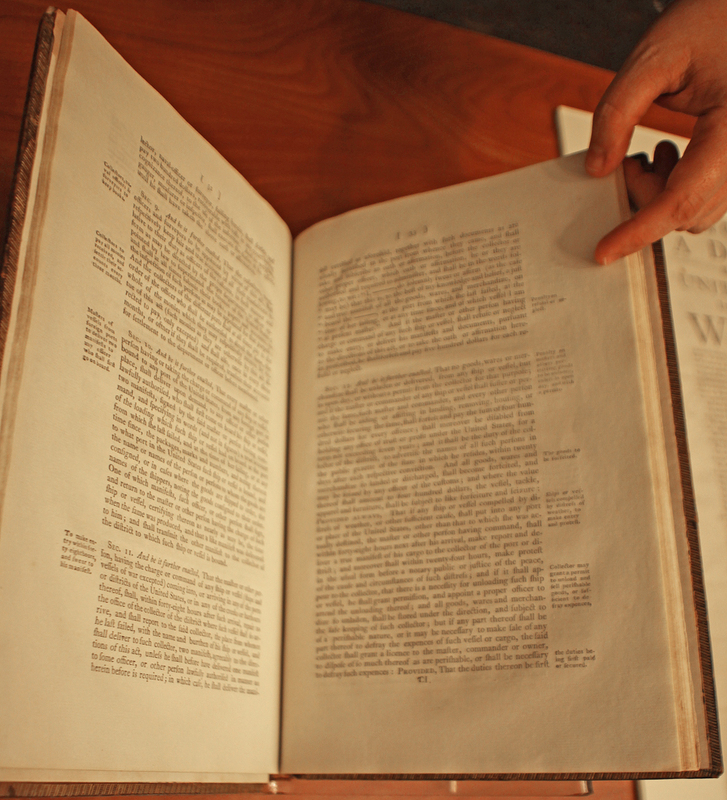 Rebecca explained that in that time, book sections were lettered rather than numbered. Because of the similarity between "I" and "j" the letter "j" was not used. Thomas Jefferson's own copy of the Declaration of Independence. Thomas Jefferson had a habit of marking any of his books on the "I" page by placing the letter "t" in front of it. There was another place in this book where he had scratched out a work and made a correction. Touching that same page that Thomas Jefferson touched so long ago was an experience I will never forget. If you love books like I do and ever find yourself in Indiana, allow plenty of time to visit this treasure trove.